If you're trying to sell your home as quickly as possible, replacing old windows with more energy-efficient ones or transforming your cramped bathroom could raise the value of your property. There are some home upgrades, however, that might not give you quite as much bang for your buck. Here are five home renovation projects that probably aren't worth investing in. If you've got a garden shed or a garage that's not being used, transforming it into an office space or a studio may seem like a good idea. But you may not see much of a return on your investment if you have to spend big bucks to run electricity, install an HVAC system or put in new flooring. Plus, a prospective buyer might not be so thrilled about the changes you make. Having a swimming pool can be great on a hot summer day, but it can be a major headache at any other time of the year. Even the most basic pool can cost you thousands of dollars to install and you could shell out even more money if you want to build a new patio or add outdoor seating. Getting a swimming pool probably isn't going to help you sell your house. In fact, it could scare buyers off if they're worried about the time and effort they would have to put into maintaining it. If you've got an unfinished basement space, turning it into a recreational room or another bedroom are two ways to put it to good use. Homebuyers tend to appreciate a fully functional basement, but you might have a hard time recouping everything you've spent after you sell your house. Even if you're planning to install your own flooring, electricity and lights, you could put a strain on your wallet. Kitchens are a major selling point for most homebuyers and remodeling yours could be a good idea. But you probably don't want to go overboard. Spending money on top-of-the-line kitchen counter tops or installing a pricey wine refrigerator could make your kitchen stand out. But unless you're living in a swanky neighborhood, you may not be able to jack up the home sale price to cover the cost of your renovations. If you want to give your kitchen a face lift (and still turn a profit), it's probably best to buy appliances and cabinets that don't cost a fortune. A sunroom can be a great place to unwind. The problem is that most homes don't come with sunrooms so if you want one, you'll probably need to build it. Adding on a room will increase your square footage, but it won't necessarily increase your home's property value. What you might view as a peaceful retreat might seem like wasted space to potential buyers. Renovating your home could be a smart strategy if you're trying to sell it in a competitive market. 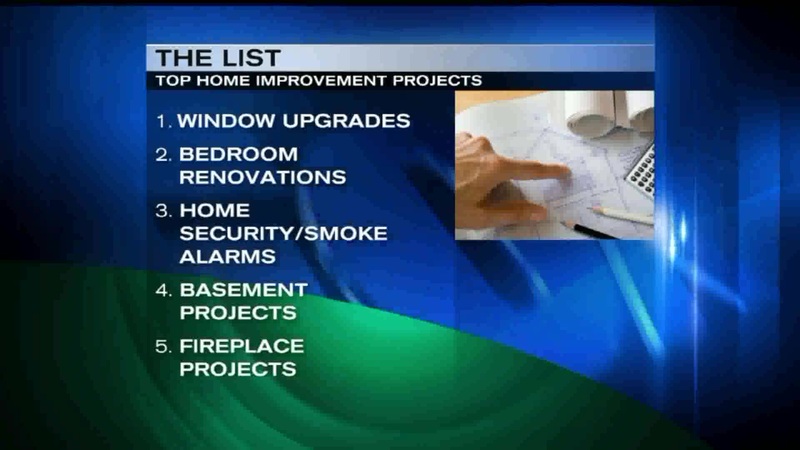 But the key is to pick the home improvement projects that are likely to yield the biggest benefits. If you're not sure what buyers in your area are looking for, you can always talk to your real estate agent or take a look at comparables (comps) to see which kinds of homes have recently been sold – and at what price. The post 5 Home Improvement Projects That Aren't Worth Investing In appeared first on SmartAsset Blog.